Happy Hanukkah and we hope everyone is enjoying the holiday season. There are only 18 shopping days left until Christmas, but another important deadline is coming up even sooner! 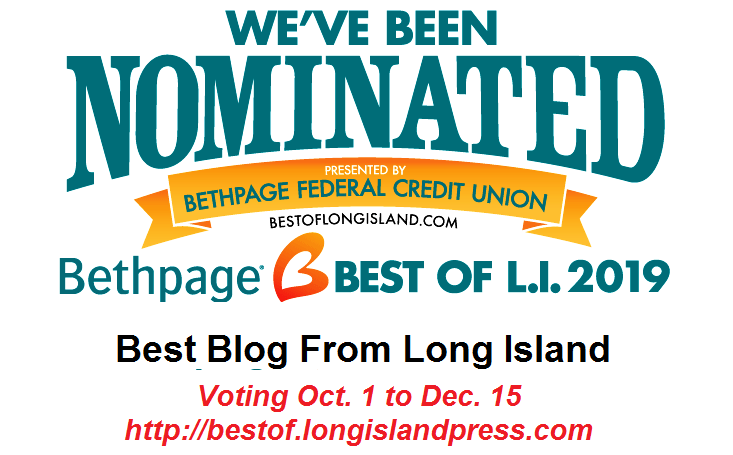 Voting for the Bethpage Best of LI contest ends on December 15, so you have just 8 more days to vote (once each day) for LIBeerGuide as Best Blog from Long Island. We appreciate your support and thanks in advance for your vote! If you're struggling with what presents to buy for your favorite beer lover, LIBeerGuide is here to help! Check out the Beer Books page on LIBeerGuide.com to find a fun book on beer travel, cooking with beer or homebrewing. If your beer lover has expressed an interest in homebrewing, now is a great time to get them started by buying a homebrewing kit with all the necessary equipment and ingredients. Check out our HomeBrew Supplies page to find the nearest homebrew shop, including Brew and Beyond in East Patchogue, Karp's Homebrew Shop in East Northport and Kedco-The Brews Brothers in Farmingdale. 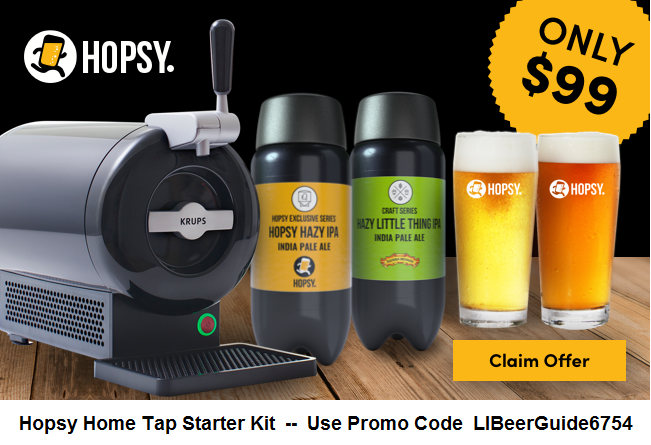 If your beer lover is looking to enjoy fresh draft beer at home but doesn't want a system with full kegs and CO2 cartridges, the Hopsy SUB Home Tap system will make a great gift. This home draft system sits on your countertop and serves craft beer cold and fresh. Hopsy partners with craft breweries around the country to supply beers for the system, including BrewSA Brewing and Moustache Brewing on Long Island. Another way to make sure your beer lover will enjoy fresh craft beer on tap is to buy them a gift card to their favorite beer bar or gastropub. One of our favorite places to enjoy some holiday cheer, or at any time of the year, is J.A. 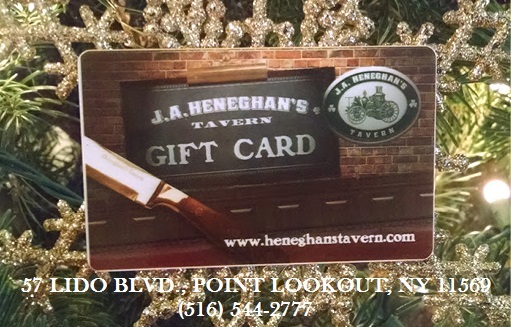 Heneghan's Tavern in Point Lookout.